Heading to Moab to jump off the mesas made for one anxious Angela. 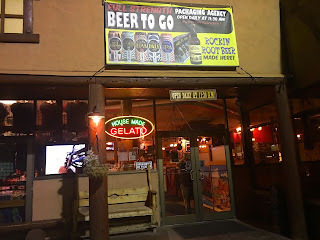 Luckily, my friends were ready to keep me in check and the first place we headed was Moab Brewery. Thinking I'd just have a drink and hopefully an appetizer, I was pleasantly surprised to find this place to be very vegan friendly! This restaurant is huge! And when we arrived, it was overflowing with people. Luckily, we were able to snag a couple of seats at a table with friends who had already been seated. Score! I ordered a glass of wine and hung out with my friends. I know it is weird to order wine at a brewery, but it was what I was in the mood for, so there. This place was loud and fun and a great place to go with friends. 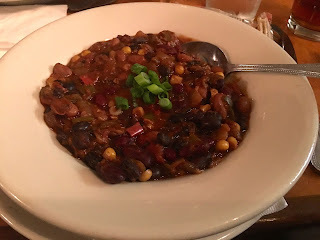 When it came time to order, I went with a simple Vegetarian Chili, which is vegan as-is. When it arrived, I was not prepared for a huge bowl of beans and very little veggies! The description stated, "thick and chunky, made with lots of veggies," but, lo and behold, this was a bowl of beans! It was good, but I definitely had upset bean tummy later on. 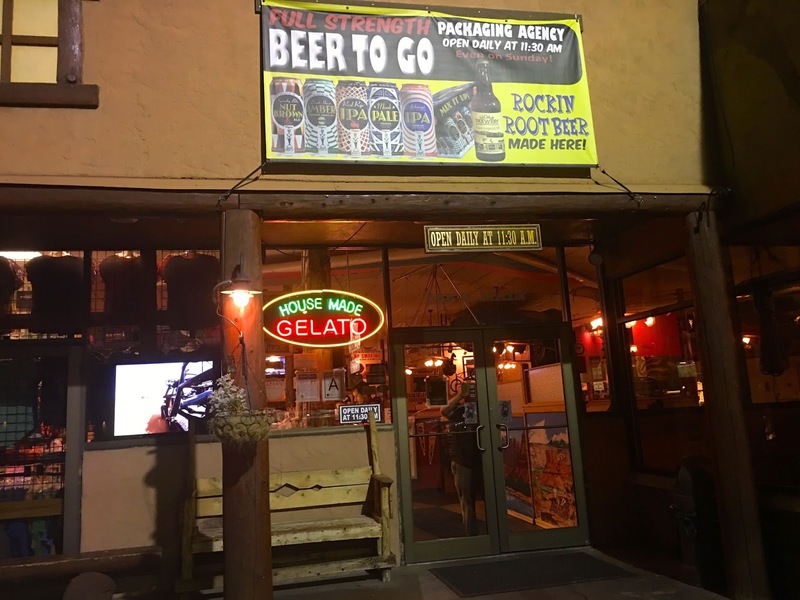 Later that week, we decided to grab some carryout from that place too. My friend called and ordered the Veggie Burrito without cheese, rice, or sour cream. But, when we got back to the hotel room, it had cheese in it. That did not make me happy. The guy who served us pushed our new order to the front of the line and had a vegan burrito ready when we arrived again. He was very apologetic so I was very forgiving. 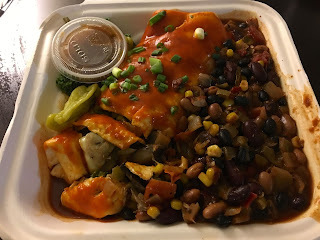 This one was good - made with broccoli, spinach, mushrooms, artichoke hearts, tomatoes, bell peppers, corn, walnuts, and pineapple in a flour tortilla with chili on the side. Definitely filling, if nothing else. Other items that are or can be made vegan are hummus plate, black bean soup, assorted salads, hummus wrap, and veggie wrap. The veggie burger is not vegan. My burrito was $9 and chili was $5 -- super cheap. The service was as good as I think it could have been given how slammed they always are. And the atmosphere is just fun! It's a great place to go with friends to hang out and have a great time!